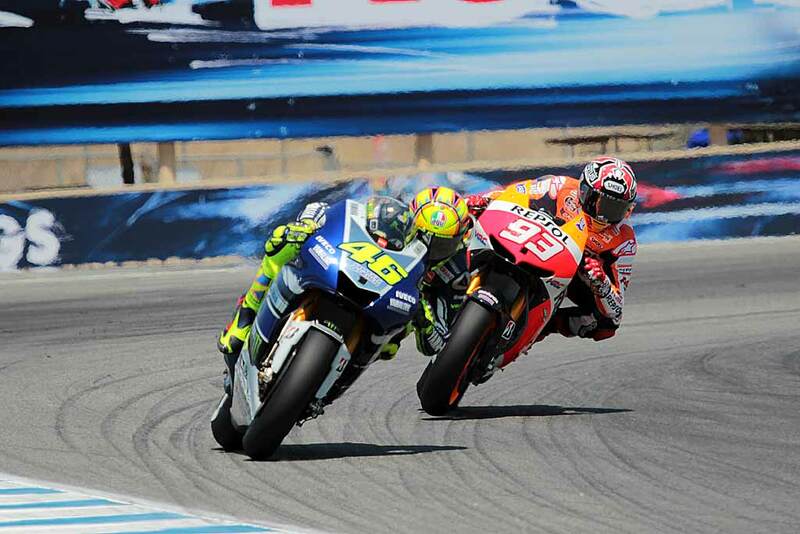 Marc Marquez’ stunning overtaking move on Valentino Rossi in the early stages of the US Grand Prix has become an instant classic in MotoGP and replicated a contentious move that Rossi made on Casey Stoner in 2008. On that day Rossi used the move as a springboard to a victory, just as Marquez did today, but unlike in 2008 both riders were able to laugh and joke about it afterwards. 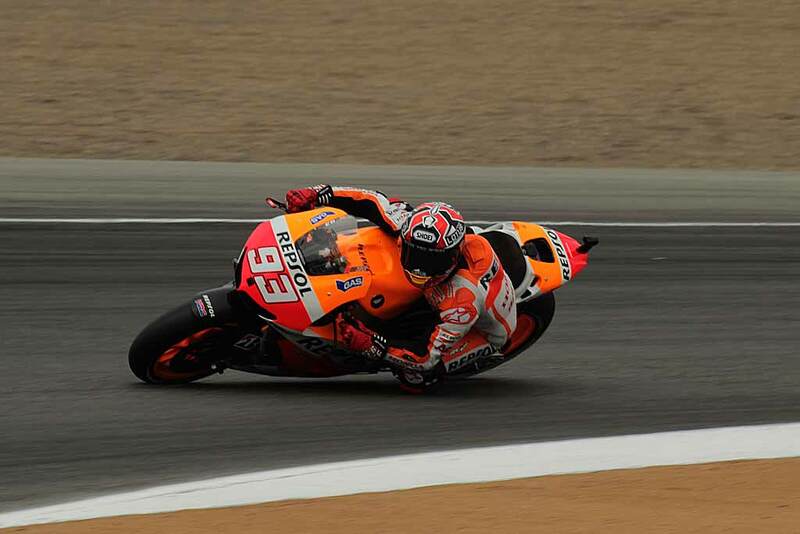 This entry was posted in MotoGP, News and tagged Casey Stoner, Grand Prix motorcycle racing, Marc Marquez, Marquez, MotoGP, Rossi, United States Grand Prix, Valentino Rossi. Bookmark the permalink.